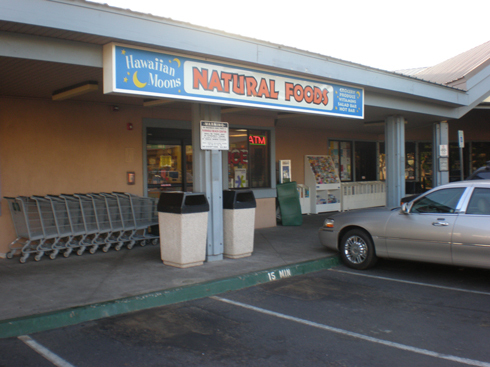 Welcome to Hawaiian Moons Natural Foods! Serving Breakfast! 8am – 10:45am, Every Day on the Hot Bar!! 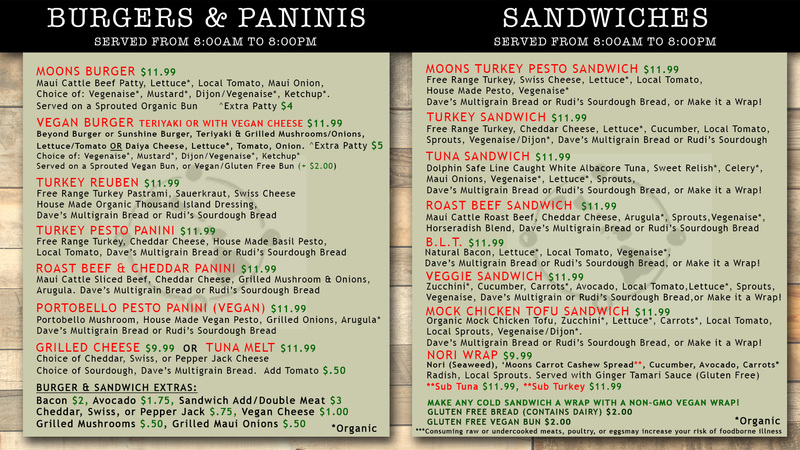 and Cold Sandwiches is open 8am-8pm. Aloha! 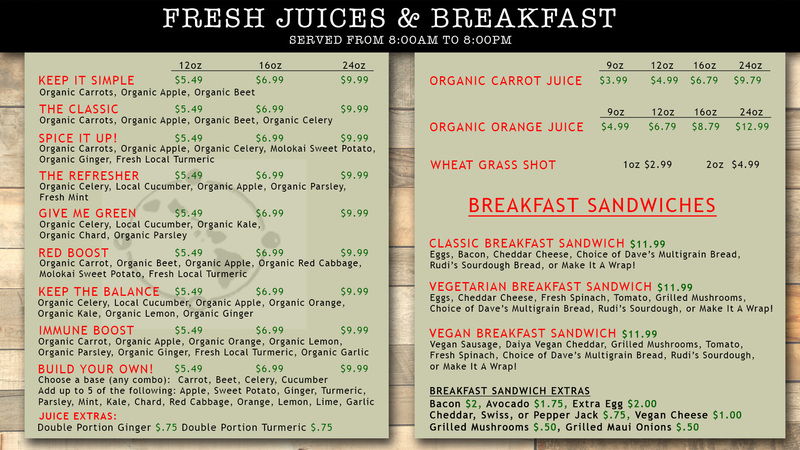 Our new Juice Bar and Cafe is now open! 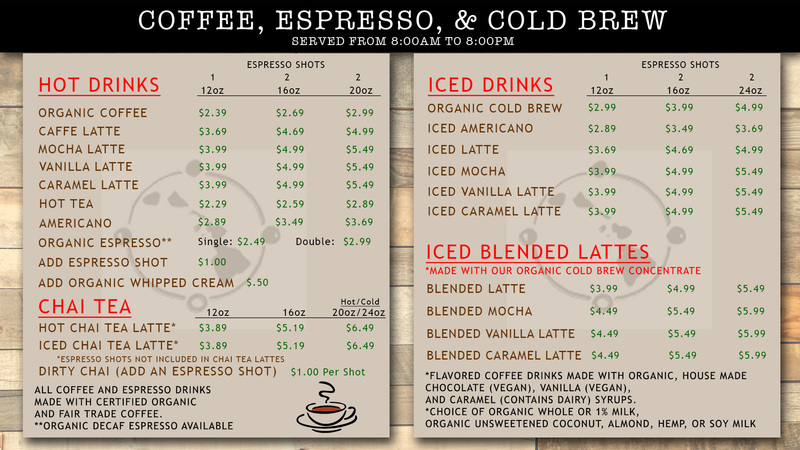 & Organic Cold Brew Coffee! serving our famous salads and prepared dishes! 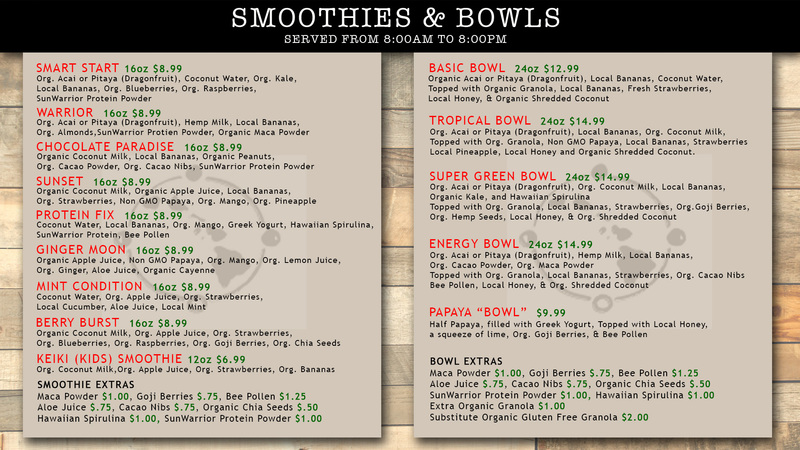 Hawaiian Moons uses only 100% compostable containers and flatware for our Salad and Hot Bars, and our Grab n' Go deli items. Click coupon below and print it or show it to your cashier!